A common question asked by investors, financiers, developers, analysts and the curious is when will the Dubai real estate market recover? 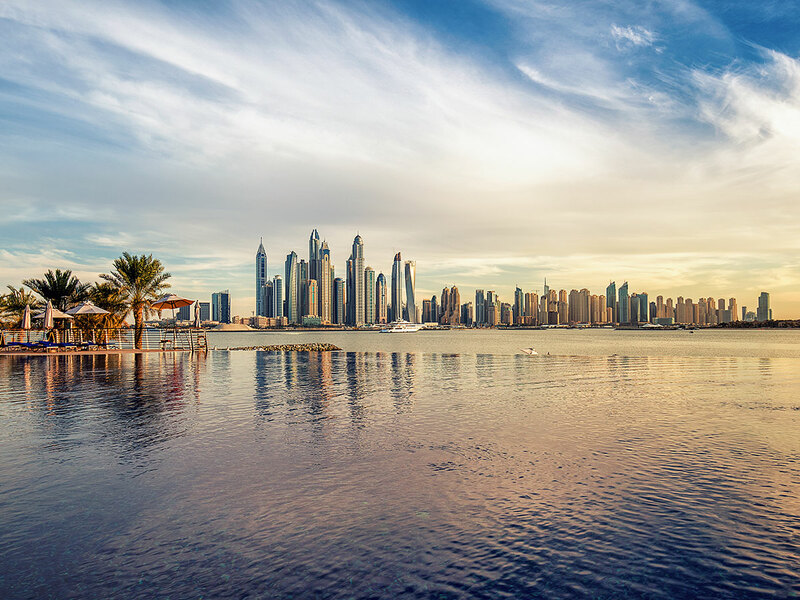 Apartments in Dubai have seen the biggest softening in rental rates last year, according to Asteco, with an average 11 per cent year-on-year change since Q3 2017. “The areas recording the largest drops during this period include Jumeirah Village, which saw a 15 per cent change; Discovery Gardens, JBR and Palm Jumeirah, which had a 14 per cent change; and Jumeirha Lakes Towers [JLT] and Dubai International Financial Centre [DIFC], which witnessed a 13 per cent change,” said John Stevens, managing director of Asteco. Ali Siddiqui, research analyst at Reidin, said areas with high handovers (within the area and in the surrounding areas) recorded the highest decline in rent prices, with affluent residential neighbourhoods such as Dubai Marina declining by 8 per cent, Business Bay by 7 per cent, Downtown Dubai and DIFC by 9 per cent, and JLT by 10 per cent on yearly basis. “Dubai real estate market continued to decline in 2018 owing to the addition of new residential units coupled with low economic growth, reduced demand, and a resultant drop in consumer spending,” he said. Since around 85 per cent of the residential supply that came in 2018 were apartments, Siddiqui said this segment recorded a larger price fall of 11 per cent, in comparison to the villa segment, which has fallen by 8 per cent on a yearly basis. According to the Property Monitor Index, rental rates across Dubai fell on average by 7.7 per cent in the year to November with apartment rents falling by 8.4 per cent and villa and town house rents by 8.3 per cent over the same time period. Gross yields in Dubai were 6.27 per cent in November, down from 6.45 per cent a year earlier as a result of rents declining at a faster pace than sales prices over this period. Whereas another market study conducted by Colliers International has put this decline in the range of 5 per cent to 30 per cent on a year-on-year basis. According to the global property consultant, the rental fall was recorded across the board, with Arabian Ranches seeing up to 30 per cent decline; The Springs and The Meadows up to 25 per cent; Palm Jumeirah Apartments, JLT and Dubai Marina up to 22 per cent; Downtown Burj Khalifa and Business Bay up to 20 percent; and Jumeirah Golf Estates, The Greens and The Views up to 18 per cent. “Generally large five- to six-bedroom villas experienced the biggest declines. Smaller villas and town houses held better due to the increased affordability, making them more attractive to potential tenants, in particular upscaling from apartment living,” said Imran Hussain, head of residential at Colliers International, Middle East and North Africa. While rent declines were witnessed across the board last year, Robert Thomas, head of residential at Core, said the highest was witnessed in Discovery Gardens (15 per cent), Dubai Sports City (14 per cent), Jumeirah Village Circle and Triangle (12 per cent) and JLT (11 per cent). “Similar to the trend seen over the last two to three years, villas and larger apartment units have seen comparatively higher softening while studios and one-bed [units] have remained relatively resilient,” he said. Hussain pointed out that there is no doubt that some people will take advantage of the current affordability of rentals and try to upgrade or move to larger and better properties. “However, there are also tenants who are moving not necessarily to larger or better properties; they are moving to the same type of unit just for the purpose of a better deal,” he added. The industry experts say the current trend of rental decline is expected to continue in the coming quarters, unless the announcement of government spending and new regulations create an increase in demand during this year. But Stevens said it is likely that due to an incoming wave of new supply in the market, rents will continue to soften throughout the year. Thomas pointed out that the older central built stock continues to be under pressure to retain its novelty with occupier preference shifting to outer areas where newer and competitively priced options increasingly becoming available. “For this reason, we expect rental prices to remain under pressure in 2019 and the rental market to continue being tenant friendly,” he said. While various market studies have put varied rate of decline based on the methodologies adopted by them, we have relied on the Reidin data to come up with this map, which compares rental movements in Dubai’s top five locations (Dubai Marina, Business Bay, Downtown Dubai, DIFC and JLT) from Q4 2017 to Q4 2018.